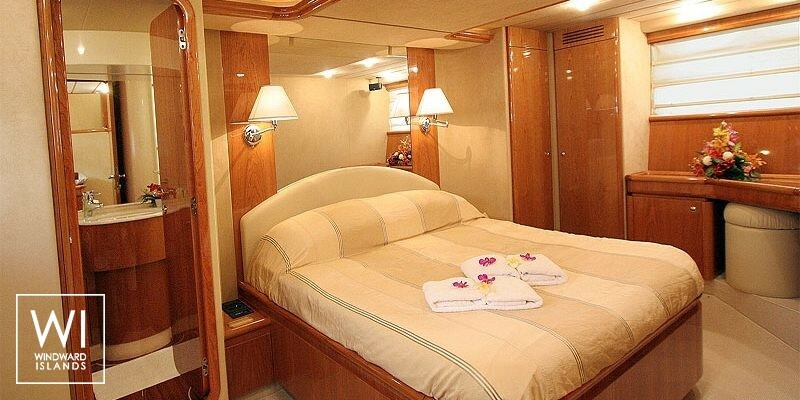 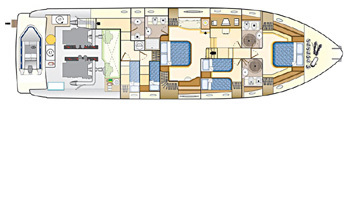 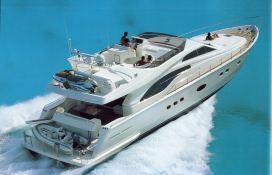 This Ferretti 680 built in 2000 by Ferretti welcomes up to 8 passengers to explore Cyclades and Dodecanese. 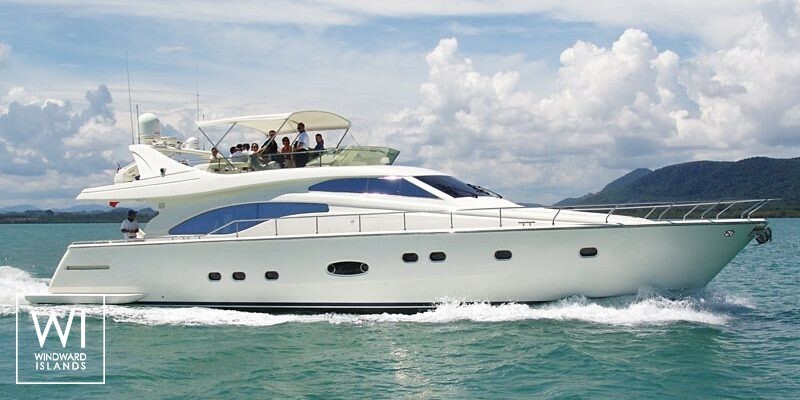 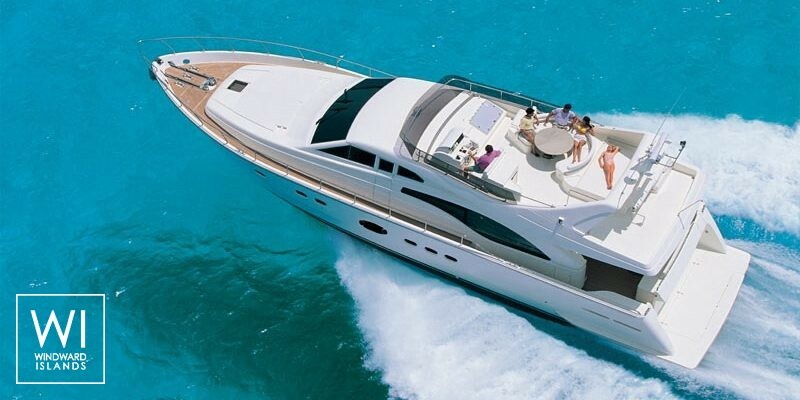 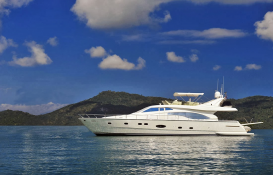 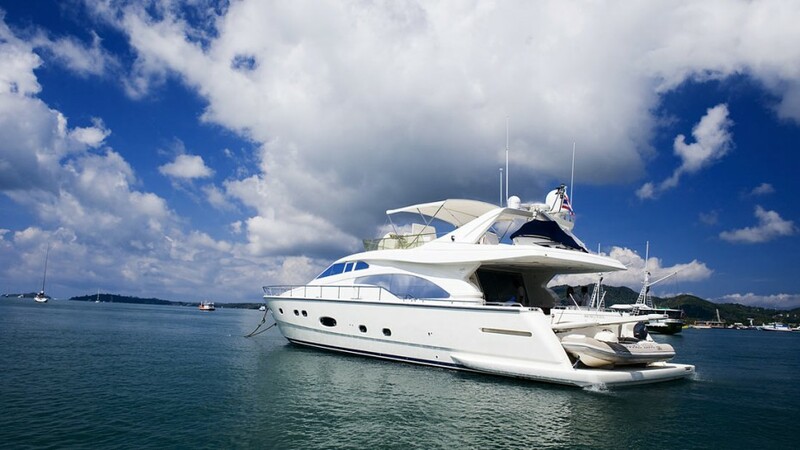 This Ferretti 680 reaches a speed of 34.0 knots due to its 2 powerful 1200 hp engines. 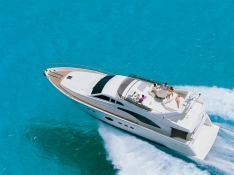 This Ferretti 680 available for charter in Cyclades and Dodecanese is fully equipped with air conditioning, BBQ, generator, watermaker and also fishing equipment, jetski, waterski, CD and DVD for leisure. 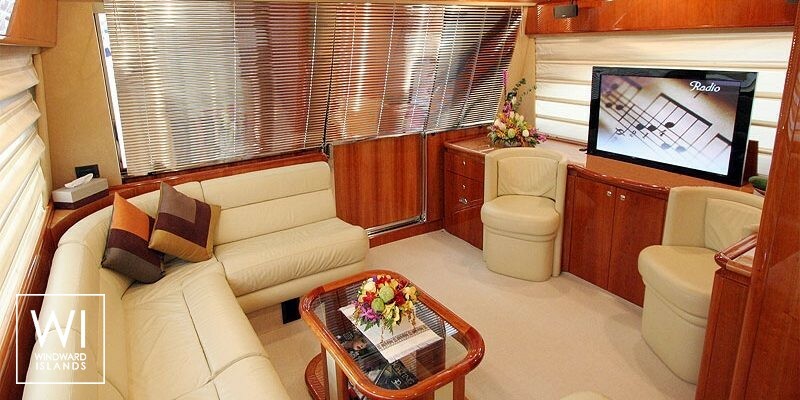 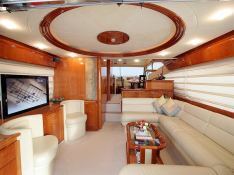 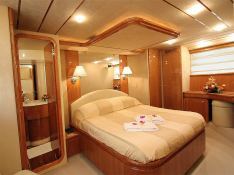 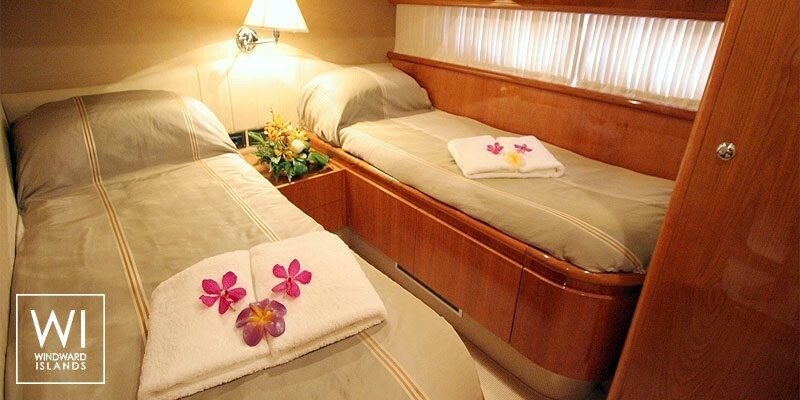 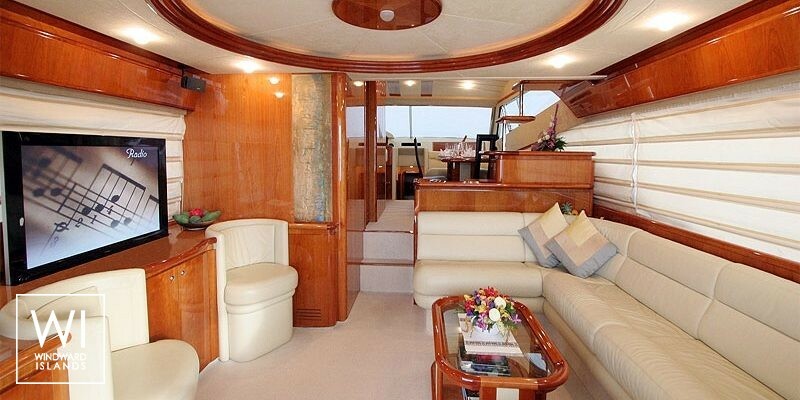 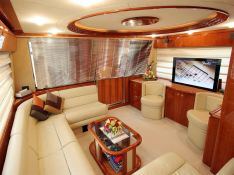 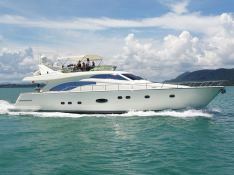 This motoryacht is available for a crewed yacht charter with a base price of 17 500 € (approximatly 19 736 $).